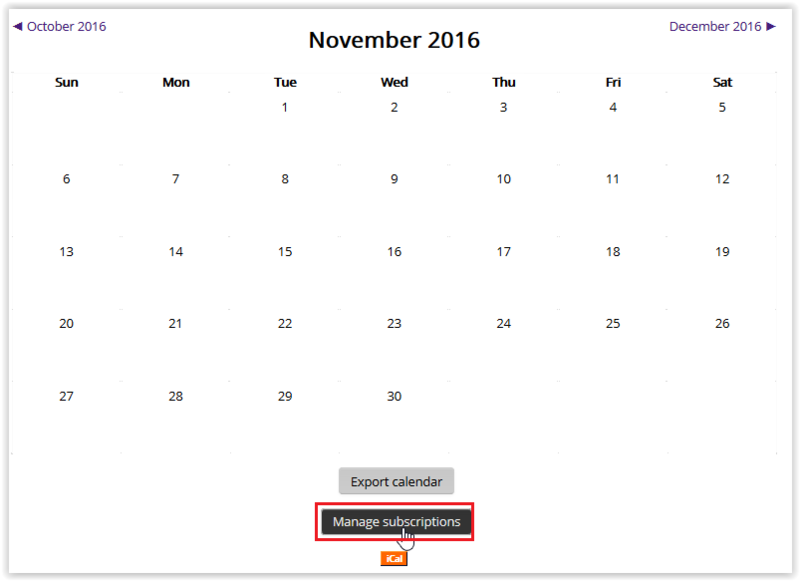 The manage subscriptions area allows users to add or remove external calendars that have been imported into a Moodle calendar. 2. 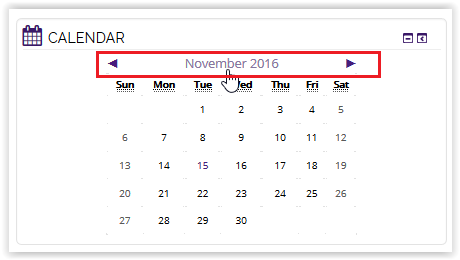 Click the Month and Year in the Calendar block to see the expanded view. 3. Select Manage Subscriptions at the bottom of the window. 4. At the top of the window, you will see a list of already imported calendars. Click the Remove button to delete them from your course. 5. 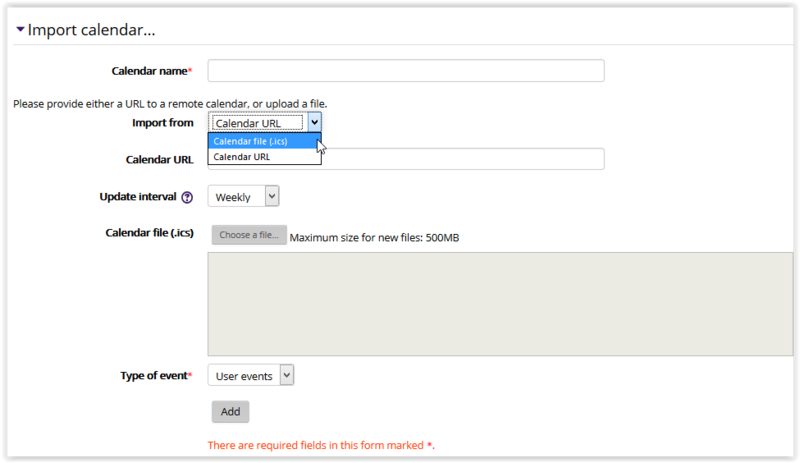 To import a new calendar, enter the required settings under the import calendar section. For this example, we will import using the Calendar File option. If using the calendar file, add a name and upload the file. 6. When finished, click to Add to import.